*These are to be read right to left, then from top to bottom. Click them to see a larger version. Enjoy! 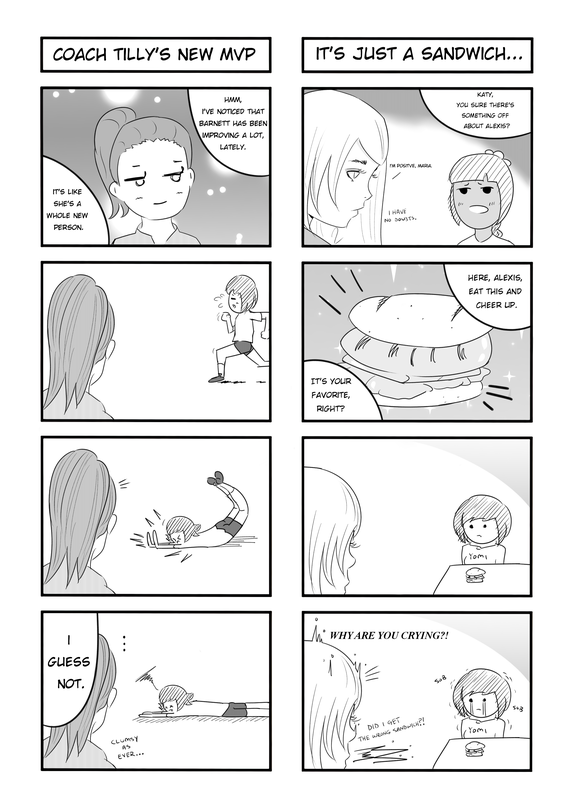 This entry was posted in Omake and tagged Alexis, Bonus, Coach Tilly, Katy, Maria, Omake by nippoten. Bookmark the permalink. Hey everyone, I know it’s a little odd to update on Wednesday, but there was something I wanted to share, and test. 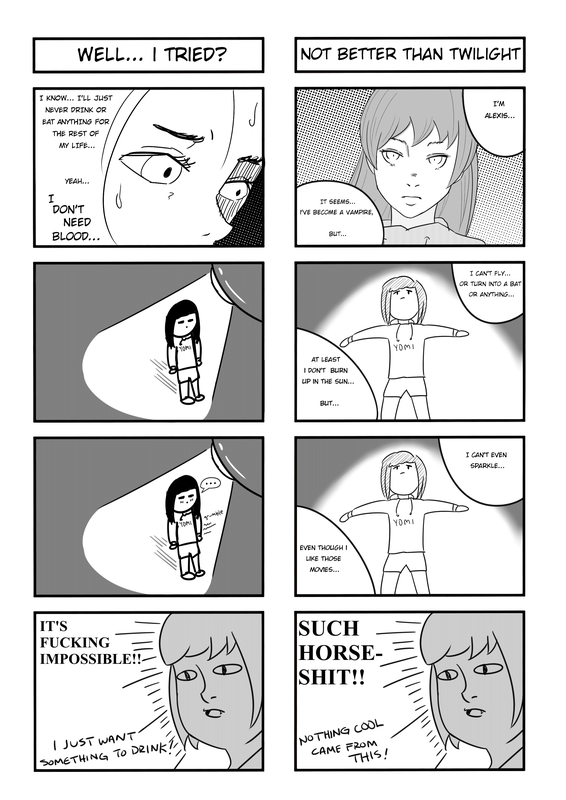 Since the beginning of EPY, I had always planned on making omake comics as a sort of bonus. I hadn’t had the time to work on making any until recently, so I tried coming up with a few as a sort of test, to see how well they’d go over with you guys. Hopefully you like them. They’re just supposed to be short comics, taking me about a day to make, which I think is the appropriate amount of work that needs to be put into them. No more, sometimes less. Then it’s back to writing the next chapter. These won’t be regularly scheduled, either uploaded on Wednesdays whenever I make enough to warrant uploading, or in conjunction with the written interludes on Saturdays. Not sure yet. I could also make these comics as a sort of ‘thank you’ if I ever set up donations/patreon and reach a certain tier. Who knows? For now, enjoy these as a small gift from me to you. A little bonus. See you on Saturday with the next update, it’s gonna be a blast! Ha, pleased that you think so. I definitely have more in mind. Also, this goes out to everyone, if there’s any character you’d like to see featured, I’d be curious to see what you’d suggest. Cheers! More comics to come soon, I’ll probably do one per arc, alongside the interludes.